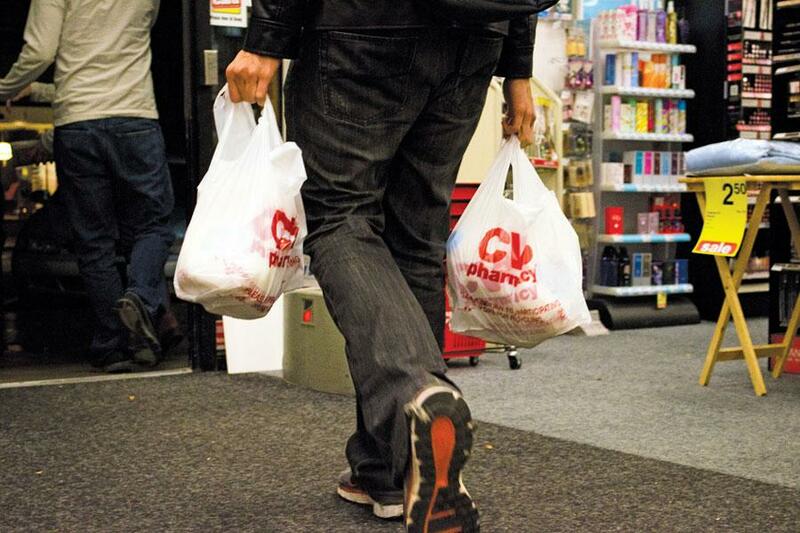 Larger Evanston stores like CVS no longer provide consumers with free disposable plastic bags. The ban was passed in July 2014 and aimed to eliminate plastic bags completely by August 2015. Evanston businesses have not experienced any major problems since the city’s plastic bag ban passed in July 2014, city officials said. Catherine Hurley, the city’s sustainability manager, said members of the Environment Board and city residents did not express any desire to amend the ordinance that required businesses larger than 10,000 square feet to completely eliminate plastic bag usage by August 1, 2015 at the city’s Environment Board meeting last month. Hurley said city officials and residents feel satisfied with the ordinance as it currently stands. The ordinance targets larger Evanston stores such as CVS Pharmacy, 1711 Sherman Ave., and Jewel-Osco, 1128 Chicago Ave., but some smaller stores such as Crossroads Trading Co., 1730 Sherman Ave., have also eliminated plastic bag usage. Meghan Bailey, the store’s manager, said it made sense to ban plastic bags after Chicago enacted a similar ban in August. CVS is one of the larger stores that had to eliminate plastic bag usage, said Mike DeAngelis, senior director of corporate communications at CVS Health, in an email to The Daily. “Our Evanston stores are complying with the city’s ordinance by offering customers paper or reusable bags,” DeAngelis said. Though no major problems have been brought up with the ordinance, Hurley said many stores have started giving out thicker plastic bags that are categorized as reusable bags to customers, and the ordinance did not intend to encourage the use of those bags. Hurley said Chicago has considered an additional ban on the thick plastic reusable bags, and that Evanston officials have discussed a similar ban. “If Chicago moves forward with such a requirement, we would definitely follow suit,” Hurley said. Although large grocery stores in Evanston have stopped offering plastic bags, not all shoppers have started using reusable bags, said Eleanor Revelle, president of Citizens’ Greener Evanston, a local sustainability organization. Despite the change, she said she has been surprised at the amount of people leaving grocery stores with the store-provided brown paper bag, rather than using personal reusable bags.